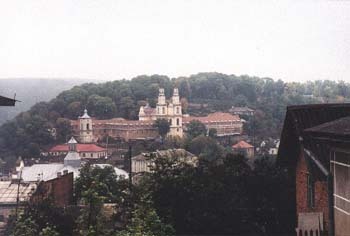 Buchach is hilly. Here is a picture of the town as viewed from one of the hills. The twin-peaked building is the Basilian monastery.